reported by Arnold Berliner, Curt Thesing (1946). Die Naturwissenschaften. Springer-Verlag. p. 36.
also reported by Albert Einstein, translation by Robert W. Lawson (1921). Relativity. Plain Label Books. p. preface. ISBN 1-603-03164-2. 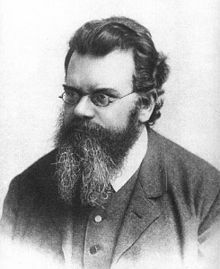 S. Rajasekar, N.Athavan, "Ludwig Edward Boltzmann"
This page was last edited on 22 April 2018, at 00:02.